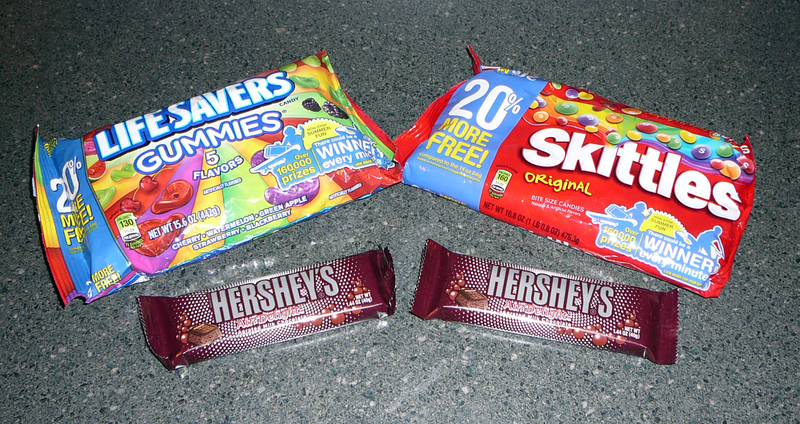 I went to CVS on a whim and the magic coupon machine gave me a B1G1 Skittles, Lifesavers Gummis or Starbursts coupon, so I decided to use me printables and get a sweet deal :) Also, they were back in stock on the Hershey's Air Delights Chocolate Bars! I had held onto my coupons for a Free bar since literally July1st, and since they were out of stock on them until now, they still honored the coupon :) No questions asked! 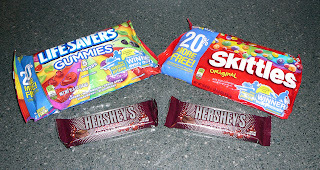 So for everything you see, I paid $1.33 :) My husband was thrilled to get the chocolate bars - he really liked them from the last time I got them free.